With that we were led back to the surface. I slung the stasised trader over the back of one of the pack animals and tied him down. Telepathically directing the animal to follow along, we loaded up and started back for Mos Losa. The journey wasn’t the fastest, but we weren’t harassed by Sand People and the one Jawa group promptly turned around and left the moment they saw us. Six days later we were back in Mos Losa. Once we arrived, I took the trader to one of the hospitals. There I dropped him off, announced that his payment for the medical bills would come out of the sale of the various goods we brought back, I muttered something about idiot Jedi, and left. The various doctors and nurses all looked rather stunned by it all as they didn’t say a word except to nod as I left. I made sure to wander around the city a bit visiting one or two of the bars after that just to display the little ornamental trinkets I was now wearing. That certainly raised some eyebrows. After eating a decent meal and having enough to quench my thirst, I loaded into the waiting freighter Augusta and Nimh were aboard as we took off into the depths of space and hyperspace. I updated Nimh on what we found and handed over the information we had been given by the Rakata for her to analyze. While she studied that, I did my best to get all the sand off of my clothing and equipment before giving up on it as a lost cause. The best I could do was to get myself clean and stuff all the sand riddled equipment into a bag for Ban and the techs to clean for me. Once we got back aboard the Mrs Beasley, Vi cornered me asking excitedly about my robes and where he could get a set like my own. Why exactly he felt the need for this was beyond me, but I informed him that unfortunately while I had spare sets, I wasn’t about to part with them. And it wasn’t like the droids and technicians we had were up to the task of making something that specific and high quality. And sadly, the tailor he did make them for me was sadly out of reach given my notoriety. (Vi) I could go! I am not wanted like you are so there should be no problem with me recruiting him! Well, I had to admit Vi had a point. And I’ve been wanting to secure Qwuam’s services for quite a long time now and haven’t had the opportunity. I could think of several things I could use his help on. At which point Vi showed me some sort of jumpsuit he apparently acquired from the Rakata. As best as I understood the what he was describing to me, that system would take incoming energy and generate a weak shield effect in response to the attack. That and some sort of subspace cooling apparatus had gotten Vi really excited about additional modifications to my robe design for his personal use. I had to sit back and wonder how intelligent it was to use that sort of a system while phasing, and I had concerns about hauling around a subspace refrigeration system while using my powers. My thoughts on that line were diverted when I saw Alys. I walked up to her and handed her a datapad. (Kira) Some new recruits I made arrangements with from Tatooine. The details of locations and numbers are on there. Oh, and while it doesn’t say to on the datapad, send shipments of pickles and other vegetables on those transports. (Alys) Where did you find recruits to help us on Tatooine? 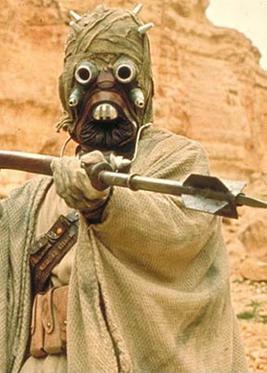 You recruiting Sand People or something? (Kira) Why, yes, I am. How did you guess? She went into a storm of cursing and saying not particular pleasant things about my ancestry, Hybrids, troublemagnets, and myself specifically. I ignored her while grinning with the knowledge that the swearing is likely to be heard across the Galaxy when Alys finds out that Sand People are Rakata variants. That was half the fun of it. I left Alys to scream at the wall as I considered the next move. Obviously scouting out the Rakata facilities not under RDF control for salvage was a priority, but various teams of technicians and Rakata can handle that well enough. Scouting for RDF facilities to capture was another priority, but care would need to be taken to keep from running into a Starbreaker. I am probably going to have to have a talk with the Furipedes about Starbreaker conversion kits for the ships we have. Given some ships converted and perhaps a few Starbreakers found and salvaged, we might even be able to take the fight to the RDF directly. That still left the mystery of the location of my family and friends. The Galaxy is a big place and even our talents at precognition and probability analysis wasn’t going to get us anywhere. Trying to take our information from the captured RDF Breakers and trying to work our way up the chain of command to capture someone knowledgible is going to take awhile too. Hmm, it may be prudent to try from the other direction. It has been said that the RDF has at least tacit support from some members of the Senate, and there are Senate Subcommittees that have been demanding audiences with Alys, Ben, and I. I wonder how much those two facts line up? That may be the next thing to look at then, in addition to finding out where the RDF’s funding is coming from. I will dismantle the RDF.